Hello dear Friends! Welcome to another edition of scrapbooking with Penny Black inc. products. I don’t know about you but I dream of traveling to Japan one of these days to see the Sakura trees in blooms. 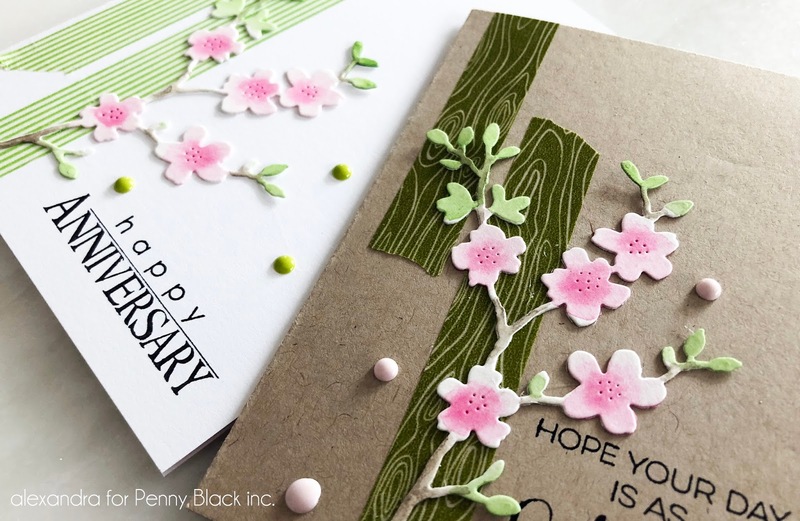 It’s not going to happen this year for me but thanks to Penny Black inc’s new collection, we can craft away and make these cherished Cherry blossoms appear nonetheless. For today’s cards, I’ve used: Cherry Blossom, a Sweet Day and You & Me. I hope you’ll join me over @ art scrap & more. Thank You! Thanks for the eye candy, Alexandra!